Welcome to Yoganetics®, a kinder, gentler approach to yoga. This accessible book includes a beginner and an intermediate workout, each modified for special needs and supported by over 120 motion-photos that smoothly bridge from the book to your body. The results are both immediate and cumulative—and move beyond the mat. Using the book's 20 insightful "experiments," you'll learn how to transform everyday life into yoga, from sitting at your desk to standing in line at the store. $15.95 • 192 pages • Over 120 photos • ~7.5X9.5"
"Only rarely today does one encounter a book that offers a truly unusual approach. Wyatt Townley's Yoganetics is such a book." 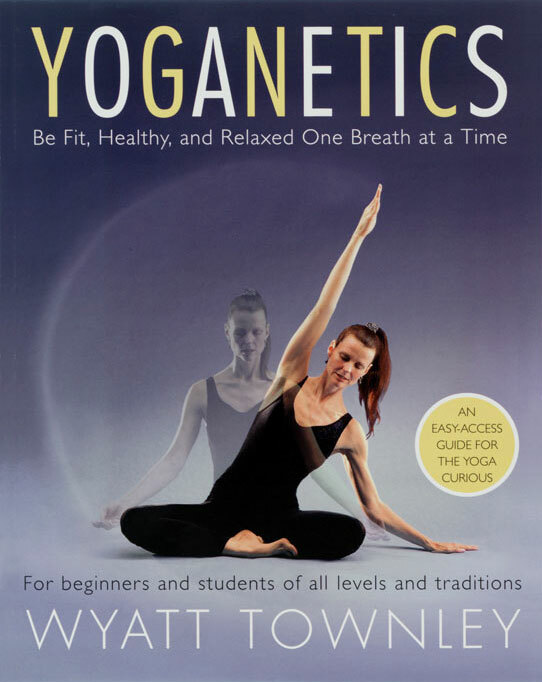 "If you are going to buy a book on yoga…Yoganetics should be the one." 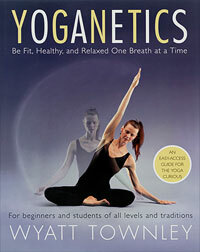 "Yoganetics is the perfect first step for anyone interested in but intimidated by yoga." "Wyatt Townley gifts us with a revolution in attaining physical and mental well-being. With brilliant and innovative strategies, she brings her state-of-the-art understanding of movement dynamics to the practice of hatha yoga. The result is a new way of being." "Wyatt Townley...a teacher who embodies the essence of yoga."